Surprisingly, they thought they were the best thing since sliced bread. There were two negatives thrown in there: not enough cookies for everyone to have more than one and the chocolate was very intense. I loved the intense chocolate. These are beautiful cookies that could be worked into any occasion using different colors to suit the time of the year. Just plan your day around your cookie making because it is an afternoon affair! I followed Martha’s recipes to a T. Don’t be intimidated by all the steps because they are really easy to do, but with all the rolling, cutting , freezing, cooling, and frosting it just takes time and some patience. Beat butter and sugar until pale and fluffy about 3 minutes at medium speed. Reduce speed to low and stir in flour mixture and stir just until incorporated. 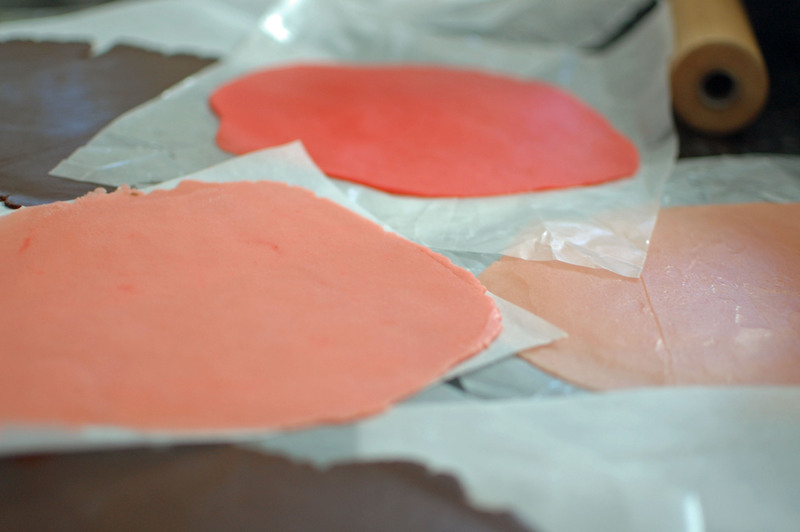 Divide the dough into 3 or 4 pieces depending on how many shades of pink you would like. Work with one piece of dough at the time. Using a toothpick add a small amount of the red-gel paste food coloring. I started with the darker color first. Mix and knead the color in with your hands. The food coloring will not stay on your hands. Flatten each piece of dough into a disk. Wrap in plastic wrap. Refrigerator for at least and hour. If making the chocolate dough you might want to do it now while the pink dough is chilling. Bring the dough out of the refrigerator for about 10 minutes before rolling. Roll each disk between to sheets of parchment paper. I used waxed paper,too. It worked well. I did not use any extra flour as the recipe called for. Roll the dough out to about 1/4 in. thick. Cut out the dough making sure that you have an even number for each size. Reroll the dough just once. A third time will result in a tougher cookie. Place them 1 inch apart on a baking sheet lined with parchment paper and freeze for about 15 minutes. Bake cookies for about 8 minutes for 1 inch cookies and up to 11 minutes for 2 inch cookies. Spread filling on the bottom side of half the cookies and sandwich with the remaining cookies. Press gently. Whisk together flour, cocoa powder, baking soda, and salt. Stir together butter, sugar, and egg. Add the flour mixture to the egg mixture and stir until a dough forms. Roll out each half between 2 sheets of parchment paper to 1/4 inch thick. Transfer to baking sheets and refrigerate until firm about 30 minutes. Cut out into heart shapes making sure that you have an even number. Place cookies 1 inch apart on a parchment paper lined cookie sheet. Freeze until firm about 15 minutes. Bake for 8 – 10 minutes depending on the size. They should be firm and fragrant. 8 minutes for 1-in. and about 10 minutes for 2-inch cookies. Spread filling onto bottom side of half the cookies, and sandwich with the remaining cookies, pressing gently. 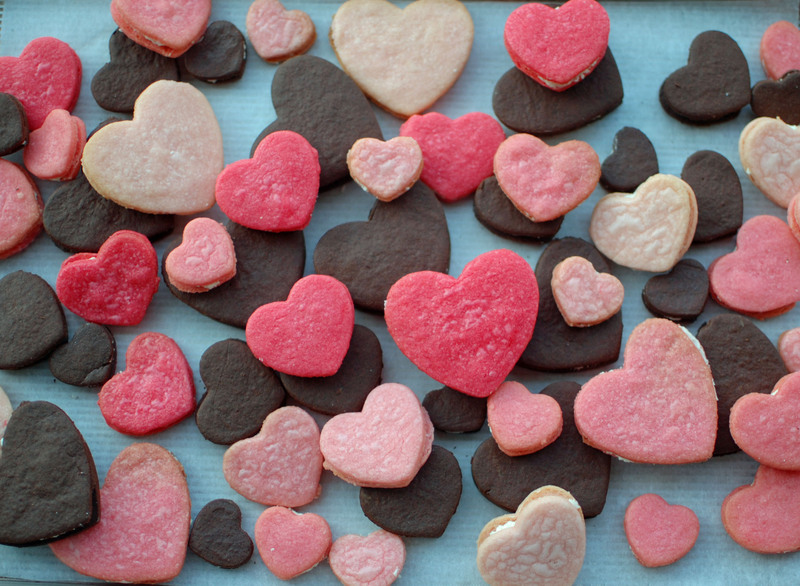 Cookies can be stored in an airtight container at room temperature up to 1 week. Beat butter with a mixer on medium-high speed until light and fluffy, about 3 minutes. Reduce speed to low, and gradually add sugars, beating until thoroughly combined. If filling is too thick to spread beat in milk 1 tablespoon at a time, until spreadable. Even though these cookies take forever to make, I thought they were amazing, especially the filling!! they were absolutely adorable and exetremely good. but they do look very hard to make. I learned that they are very time consuming and they are very good. These were very tastey but take a long time to make. 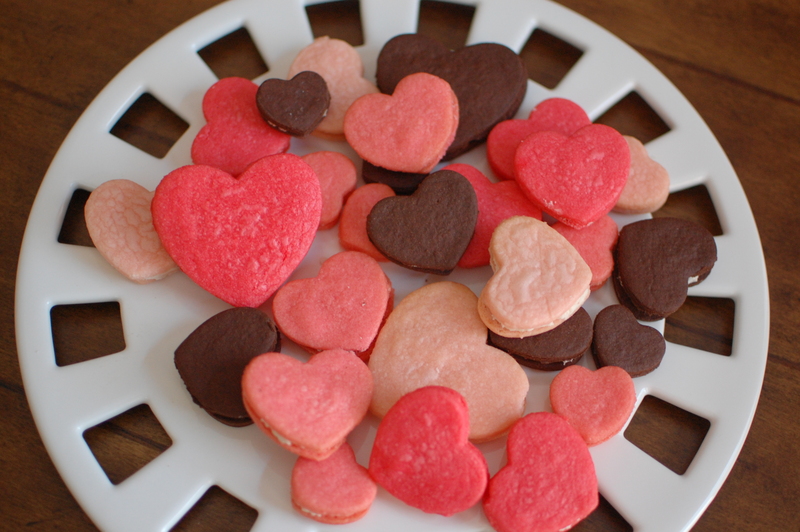 I learned that these cookies are time-consuming but are worth it for special occasions! I learned that even though they look easy to make and are very yummy, they are time consuming to bake and patience is needed while making them. These are really pretty ! I never know that you needed to beat in and mix sugar in. I though that you would just let it dissolve itself. 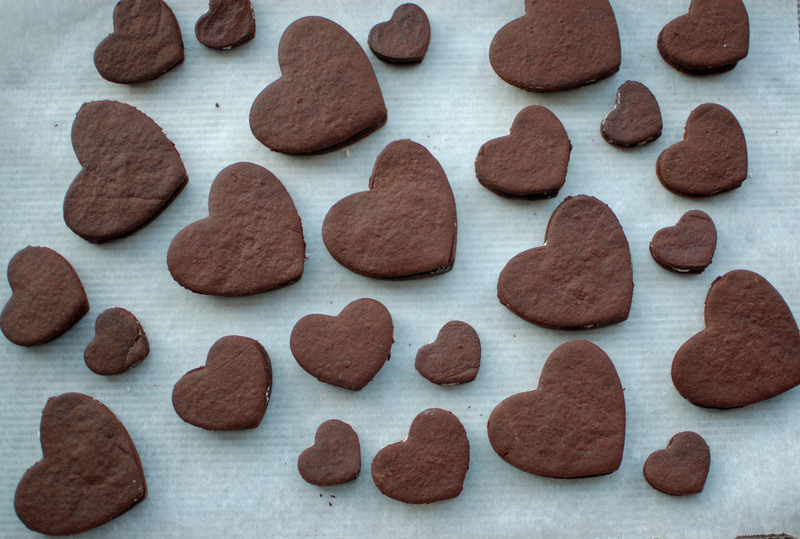 The recipe can be used to make other decorative cookies for different holidays. i learned that you have to allow the dough to harden in the fridge for an hour. all the steps are really easy to follow. I didn’t know you have to refrigerate the dough for at least an hour. You have to allow the dough to refrigerate for an hour and you can use unsalted butter. I learned that you need to preheat the oven to 350 degrees. I learned that if you are making cookies and the batter is too thick use milk to thin it out, but if you use to much milk it will make it soupy. I learned that you shoukd only reroll the dough once so that it doesn’t get tough. I learned that you have to allow the dough to refrigerate for an hour before use. I learned that these cookies take much time and isn’t very difficult but very time consuming. I learned that making these cookies can use up a lot of your time. I learned that you need to beat the butter with a mixer on medium-high speed until light and fluffy for about 3 minutes. These cookies take a lot of time to make and not a one person job. I learned that you need to flatten each dough into a disk. i learned you place them 1inch a part from each other so they wont get stuck together. They look very hard to make but they look very pretty!